April 25, 2017, 12:01 a.m.
By Ken Doctor @kdoctor April 25, 2017, 12:01 a.m.
Make no mistake: Lydia Polgreen understands she has her work cut out for her. 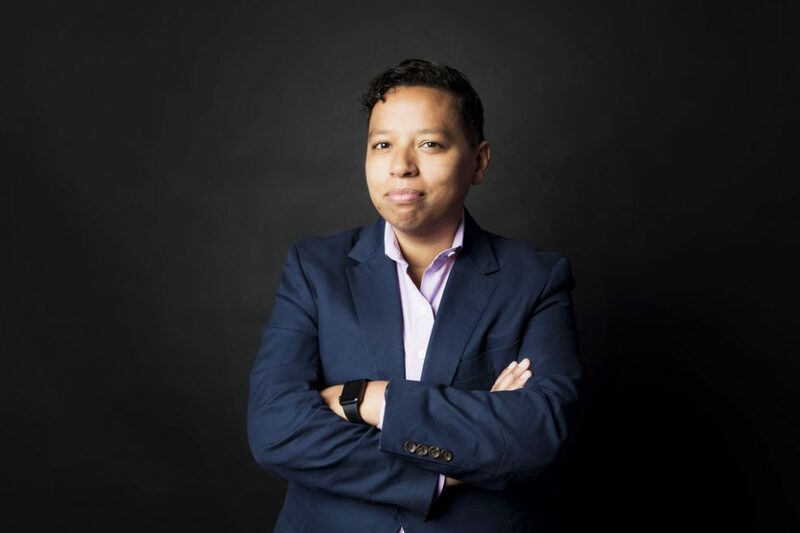 Named The Huffington Post’s editor-in-chief in December, Polgreen brings to the job an enviable reputation as a journalist, as a colleague, and as someone who cares passionately about the issues of our time. At 41, she left a 15-year career at The New York Times to become only the second editor of a publication that can seem a bit of a puzzle in 2017. In replacing eponymous founding editor Arianna Huffington, she takes over a big global news organization of 600 that’s won a huge U.S. and international audience over the years. But at 12 years old, it feels like the older, less-hip relative of the BuzzFeeds, Voxes, Business Insiders, and Mics. And it has a bit of a reputation; as John Oliver extolled the craft of journalism last year, he knew his audience would get the jab he threw at The Huffington Post. Clearly, as it has struggled with both its raison d’être and audience growth, the site demanded an update. Phase One of that updating launches today. 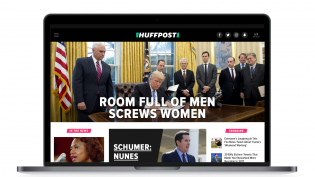 The Huffington Post — now renamed HuffPost — gets a new look, which Shan Wang explains in more depth here. It’s a modernization that looks sharper; the scowls of both Donald Trump and Bernie Sanders are more reined in and better packaged. What’s most compelling, though, is what’s to come, and the rebranding/redesign doesn’t tell us much about that thinking. As I’ve talked with Lydia Polgreen over the last two weeks, it’s that next stage that’s most intriguing. To that extent, this redesign, as necessary as it is, serves mostly as a platform for her vision of journalism. Many of the news stories about her appointment focused on her individual identity: “Huffington Post welcomes Lydia Polgreen, a queer woman of color, as their new editor-in-chief!” Yet this granddaughter of an Ethiopian farmer seems much more interested in whatever it is that’s so badly dividing the country. She’s all about reaching out, journalistically, and that will make the next iteration of The Huffington Post essential to watch. In our talks over the last couple of weeks, combined and lightly edited here for clarity, we focused on her evolving editorial vision and that hope to transcend divisions. Is it blue and red? Is it have and have not? Is it something more culturally deep that’s seemingly split the U.S? A globalist — last year helping lead its Spanish-language edition and setting the stage for more international Times launches — she values the 17 outposts that HuffPost has set up around the world. Her big opportunity: creating more journalistic collaboration between staffs worldwide. Though long a Top 10 website in traffic, The Huffington Post has slowed down a bit, as we’ve seen the revenge of the legacies, especially the Times and The Washington Post over the last two years. HuffPost ranks seventh in overall audience, having lost more than 30 million monthly unique users over the past two years. It now reaches 89 million a month in the U.S., according to comScore. More than half of its total audience is international, Huffington Post says. As she re-revs that engine, she’ll do so within the friendly confines of a distinctly un-journalistic owner. Verizon, striving mightily to be a “content company” as competitors like Comcast bulk up, has now made two medium-sized bets. First, it bought AOL/HuffPost two years ago. It hopes to close, finally, on its Yahoo acquisition in June. And it’s brought the two together in an oddly named new division, Oath. On one hand, Verizon does provide deep pockets and an earnest attempt to understand a business it has no legacy in. On the other, in short: It’s not The New York Times, where journalism is in the DNA. Further, as the Times and the Post, once widely derided as the old dreaded MSM (remember that?) have become much more in-your-face with their reporting and presentation, HuffPost must restate for its readers what it now offers differently than others. Even as Verizon was buying AOL, the fit of a lefty site — founded in 2005 as an antidote to Fox News, launched after George W. Bush had won re-election — in a telco seemed strange. Now we’re not sure what kind of Oath Verizon is taking or making. Against all that background, Polgreen seems greatly energized by the challenge. Ken Doctor: The new site looks different. Is there any content change we should know about? Lydia Polgreen: Right now, it’s presentation and redesign, but as we announced about a month ago, we’re in the middle of recruiting an entirely new leadership team. So stay tuned for some pretty significant new hires and content changes as well. Doctor: In a sense, then, this is giving you a new platform upon which you’re building the next Huffington Post, right? Doctor: So what do you like most about what this platform can do for you in building that new Huffington Post? Polgreen: It really delivers on our goal, which is to be the most compelling news destination in the world, to be telling stories in a way that captures the drama, the emotion, but also the humor, the outrage, the sense of the “Oh my God, I can’t believe this is happening” that seems to encapsulate the Trump era. So I feel like this way of being able to display stories and send them out across all platforms is going to really deliver on that sense of edge that we’re looking for. Doctor: I’m thinking about our friend John Oliver, who in the pre-Polgreen era memorably called the site “Arianna Huffington’s Blockquote Junction and Book Excerpt Clearinghouse.” What would you hope John Oliver would say when he looked at the new design? Polgreen: I hope that’d he’d find inspiration for his show. I hope that he’d find really compelling and interesting angles on the news that would inspire him to put together really funny and insightful segments for his show. Doctor: We’ve got this weird time in our American life. There has been a predictability, I think — real or imagined — about what people can expect from The Huffington Post. Even progressives may say, “I may not learn as much as I want, because its predictable.” Is this partly an attempt to shake that up and to say, “You’re going to get some different kind of stuff from us”? Polgreen: Oh, absolutely. I would disagree that we’re predictable — I think that we always have something surprising and fun and interesting, and we cover a whole range of different things. But I talk quite a bit about how I feel that we’re living in this profoundly non-ideological moment, where the old sort of categories of red and blue feel inadequate to capture the polarization. We’re really living in a time of haves and have-nots. Or have-some and have-nots. If you think of left-right as being an x-axis, I’m much more interested in what’s going on in the haves-to-have-nots y-axis. Doctor: I don’t know what kind of data you have, but The Huffington Post, I’d think, is a blue state read. Is that right? Polgreen: I think what you’ll find is that it really varies. We certainly have a strong progressive audience for our political coverage. I think that audiences for some of our other verticals, like around parenting or around entertainment and lifestyle, is ideologically much more mixed. Doctor: Tell me more about your have/have-nots world view. Polgreen: So on that y-axis, up here you’ve got the Times, Wall Street Journal, the FT — you’ve got a bunch of really great quality players, right? Who are charging consumers money directly to have access to their great content. Polgreen: A reader who’s going to pay, right? And so in lots of ways, large and small, you start to speak to a narrower and narrower audience. Now, the Times still has a huge audience, right? But they send signals — all of these organizations send signals, right? Wall Street Journal: “Mansion.” “FT: How To Spend It.” Right? Doctor: Hey, let me ask you a question on this. Go back 20 years. Pre-digital essentially. These were all paid publications then too. The Times now has 3 million paid subscribers, roughly twice what it had in print at its height, around 1.5 million. Were the journalists back then writing for a small group of people too? Polgreen: I think that they were…but, I think that part of the old model was mass. It was still those 1.5 million people, but you needed to appeal to a broad spectrum. And you also were dealing with a country that was much less unequal, right? The spread of people who would be in the category of paying $175, or however much it was, for a subscription for The New York Times was much less broad. So now go down to the other end of the y-axis, right. You have a mix of players, right? There’s free digital — and that varies widely in quality, right? And then you have the stuff you get by paying for cable, because almost everybody pays for cable. So you get CNN, you get Fox, you get MSNBC. And you also have talk radio. So this is the media ecosystem for the have-nots, right? Doctor: Well, and the haves. Polgreen: And the haves, yeah. Right, everybody’s here. Talk radio maybe not so much. So I see us as playing down here in this space and having a really really important role to play in increasing the quality. The thing that we are replacing that was down here, that kind of no longer exists, is the tabloid. Doctor: Ah, the tabloid. I saw you were talking about Mike Royko, the great sometimes-tabloid columnist in Chicago. I think that’s really interesting. But I want to go back — I want to go to that point in a minute. There’s another line. This is like four-dimensional chess, right? We can only see part of it: the cultural line. So you talked about the Obama voters who became Trump voters. Do we have any idea how many people there are, and who they are? Polgreen: I want to say it was like 12 percent. It was enough to flip the election, I know that. What I believe is that the people who are in this bucket down here, it’s not that they can’t afford to pay $175 a year, right? Because they’re paying for cable every month, right? Which is a lot more than $175 a year. It’s not that most of them can’t afford to pay for The New York Times. Of course, they can — it’s not that much money. They’re paying for cable because cable isn’t just news right? It’s sports, it’s entertainment, it’s a whole bunch of things. It’s probably how they get their Internet. So they get this other bundle of stuff, right? Now, they are also probably listening to talk radio. Maybe if they’re super right wing, maybe they read Breitbart. But these are people who are, I would call them, passive consumers of news. Doctor: I’m having problems understanding how Huffington Post approaches that those kinds of readers. 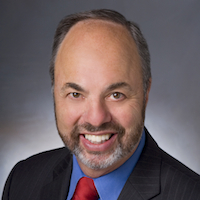 Polgreen: Did you read de Tocqueville in college? So de Tocqueville talks about how what makes American democracy possible is this idea of ever-expanding opportunity and optimism, right? And the fact that our optimism is built on the premise that you could in one generation go from — take my story. My mother was born a daughter of a coffee farmer in Ethiopia. One generation and here I am running this big news organization, right? So mobility is a crucial factor in our identity. I believe that sort of fundamental optimism of American identity is running out of gas. And that we are facing a time in which there is a level of inequality and a lack of opportunity and a kind of immobility. That fundamentally shifts our national character. And I think that those white people that you’re talking about are essentially finding themselves in the same circumstance that large numbers of people who have never really enjoyed any kind of privilege have found themselves in for a very long time. So I think about solidarity. Right? So what is a journalism that enables us to find a sense of solidarity. Polgreen: Meaning that if I’m a poor, rural, white person, I am actually more dependent on the government than an urban, black person who lives in public housing, right? Doctor: How do you do that? Polgreen: Is there a way? Maybe it’s sociological storytelling. Maybe it’s a kind of journalism that enables people who see this — because they’ve been manipulated by talk radio, by Fox News, by Breitbart — as a zero-sum game. Solidarity is such a sort of kumbaya, old-fashioned word, but it keeps coming up again. Doctor: Do you know how your demographics run now ? I looked at this a while back, but I haven’t looked at it recently. I would expect BuzzFeed, for instance, would have a higher percentage of millennials than Huffington Post. While very strong among millennials, you would be a little more spread out with older generations too — is that true? Polgreen: That’s certainly true. I think because we have been around since 2005, we’ve got a very strong Gen X audience. For a long time, we had our post-50 vertical and we think we have a very strong Baby Boomer audience. We have a really big audience, so we tend to attract a lot of folks from different generations. Doctor: What about audience growth? Huffington Post had tremendous growth and at one point was putting out press releases saying “we are bigger than The New York Times” in terms of digital audience. And clearly the Times, partly to your credit, the Times and the Post have had an amazing run in the last two years. Huffington Post has been, when I looked at the numbers, essentially flat in terms of audience. Now, flat’s not bad, because it’s a big audience. Is this rebranding a bid to restart the growth engine of digital audience? Polgreen: Well, I think that the conversation about the metrics that matter has really shifted over the last couple of years. When I worked for The New York Times, we were super focused on engagement. There was a brief period when everyone after the Innovation Report where everyone was fretting about our traffic being cannibalized by people who were smarter at racking up pageviews. Look, pageviews are important, having a big audience is great, and it’s important in and of itself. But I think that as the business model’s evolved, news organizations are taking a hard look at what analytics and metrics are telling them — what analytics are telling them and what metrics really matter. So I think for me it’s less about the gross size of the audience and really focusing on getting people to be more loyal and engaged, and to deepen their relationship with us. Part of the goal of this redesign is to really try and get people to be more engaged, so it’s not just one splash — you’ve got a few different splash stories and it’s more visual. Doctor: So let me take apart a couple of those things. I like the look of the design. So first of all, it is now HuffPost rather than Huffington Post, right? Polgreen: I think that in a way, it’s really just going with what our audience is. Our audience has always called us “HuffPost.” It’s shorter, and I think it works better for our international audiences. But I think it also signals that we’re changing, and we’re moving forward and this is a new era. So we’re keeping much of the spirit, but updating and refreshing. Doctor: So is that in part a reflection that Arianna has left and that Huffington, the whole name, doesn’t need to be there — that it has become its own brand with her gone? Polgreen: Well, I think that Arianna herself would say that Huffington Post even when she was here transcended her own identity. I think she herself called it HuffPost most of the time. Doctor: Are you moving away more from a newspaper/print metaphor to more of a purely digital metaphor? Polgreen: I think that when Arianna started HuffPost, there was a kind of tongue-in-cheek nature to sort of aping the style of a traditional news organization. I think we’re both in some ways trying to move into the digital future while also kind of holding onto, through this kind of tabloid-like typeface, hold onto that what I think really expresses the DNA of the past. In this new iteration, we wanted to really lean into that big headline splash style and also reflect the future of where we’re headed by incorporating sort of little hints of digital culture with the slashes that you see on either side of the new logo. And then there’s also the fact that the splash is our most important billboard, much like a tabloid’s front page would be a billboard and now will automatically travel with the story anywhere it goes. It becomes an almost meme-like artifact that could travel across the Internet and hopefully have the chance to go viral. We’re known for our clever headlines and photo pairing. Doctor: I like the splash, which now travels with a given URL across social media. Where did it come from? Polgreen: Well, the splash has always been kind of our central defining thing, right? HuffPost is unique in the digital publishing world in the sense that most of our competitors are really distributed plays, and they don’t get very much and probably don’t even really try to get very much homepage traffic. Some like Quartz famously didn’t even really have a homepage. So because we started before the age of distribution, we’ve retained some of that ability to — and, in fact, it’s even been increasing slightly — to draw people directly to our platform. I think one of the big draws is that splash. In a moment, you can get a snapshot of our take on whatever the big story is of the moment, and that feels very core to our DNA. It’s not just “here’s what the news is,” it’s “here’s the news with a dollop of humor, a dollop of outrage, a dollop of emotion.” That feels so core to our storytelling, so we wanted to make that something that could travel with it anywhere. The splash just becomes the automatic default image when you share something. Doctor: And it provides a continuum between the destination publishing and the platforms. Polgreen: Exactly, and I think that for us, again we really deeply value the fact that we remain a destination for news. There really aren’t other purely digital news organizations that can say that, so this is a way of kind of having our cake and eating it too. Photo of Polgreen by Damon Dahlen of The Huffington Post. POSTED April 25, 2017, 12:01 a.m. Doctor, Ken. "Newsonomics: Lydia Polgreen’s ambitious HuffPost remake aims for “solidarity” among readers." Nieman Journalism Lab. Nieman Foundation for Journalism at Harvard, 25 Apr. 2017. Web. 23 Apr. 2019. Doctor, Ken. "Newsonomics: Lydia Polgreen’s ambitious HuffPost remake aims for “solidarity” among readers." Nieman Journalism Lab. Last modified April 25, 2017. Accessed April 23, 2019. https://www.niemanlab.org/2017/04/newsonomics-lydia-polgreens-ambitious-huffpost-remake-aims-for-solidarity-among-readers/.